An award-winning Welsh folk band plays Birmingham's Hare & Hounds on May 4, 2016. 9Bach's album, Tincian, was named BBC Radio 2 Folk Awards' 'Best Album' last year, becoming the first Welsh act to win an award in the competition's 15-year history. At the Hare & Hounds they will be promoting their new album, Anian, set for release on April 29. The new songs have Welsh lyrics but the melodies draw on Greek and near Eastern influences, with subtle trip hop-influenced beats. The CD version of the album includes an extra disc of vocal re-interpretations, Yn Dy Lais/In Your Voice. It features writers, actors, poets and singers, including Peter Gabriel, Maxine Peake and Rhys Ifans, giving their own interpretations of the songs as a way to convey the meaning to non-Welsh speakers. Band vocalist Lisa Jên explained what each song was about and the artists were asked to retell the story using the emotion, sentiment, themes, and, sometimes, parts of the original tale. 9Bach formed in 2005 following a chance meeting between Lisa Jên - also known for her collaborative work with Super Furry Animals' Gruff Rhys - and Martin Hoyland. The band's name is a play on numbers and words, Lisa explains. ''9 is as in Nain (pronounced nine) which means grandmother in the North of Wales. Bach means little and is also a term of endearment in Welsh. In one language 9 is something so mundane as a number, but in Welsh Nain is a cozy, family orientated lovely thing: your grandmother is a person we can relate to and visualise." Following the release of their self-titled debut album through Welsh label Gyymon, 9Bach signed to Peter Gabriel's label, Real World Records. In 2014 they released second album, Tincian, a record that reflects their home environment of Gerlan, North Wales. Though written and sung in Welsh and arranged in the folk tradition, it also taps into elements of dub and rock. While Tincian commemorated stories from the past, Anian explores more contemporary themes. 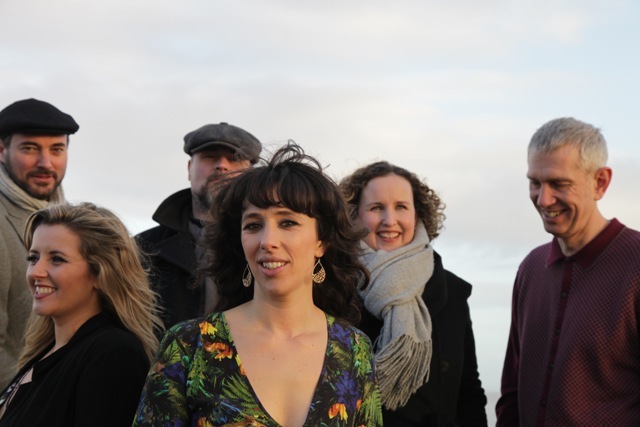 The band comprises Lisa Jên (vocals, piano), Martin Hoyland (guitars, hammer dulcimer), Ali Byworth (drums & amp; percussion), Dan Swain (electric bass guitar & amp; double bass), Esyllt Glyn Jones (harp, vocals), and Mirain Roberts (piano, vocals, hammer dulcimer). June 3: South Petherton, The David Hall.